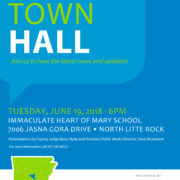 Residents of the Marche Community and surrounding areas are encouraged to attend our second town hall meeting, Tuesday, June 19 at 6 pm at the Immaculate Heart of Mary School. 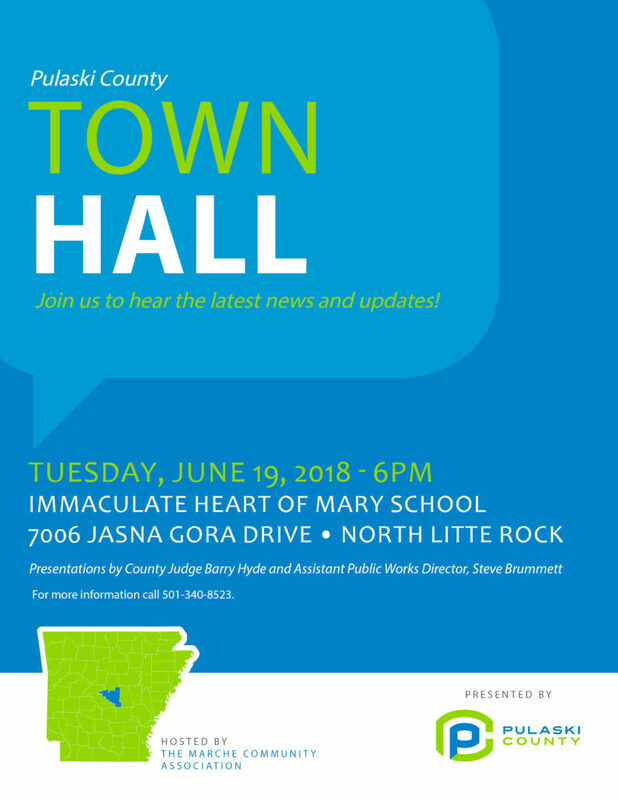 Speakers included Pulaski County Judge Barry Hyde and public works representatives. For more information call 501-340-8305. See you there!